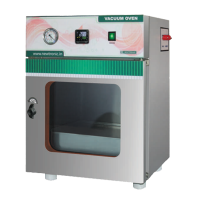 Laboratory ovens are used in various high volume thermal convection operations. These devices are mainly used in experiments and tests that require a uniform temperature throughout the duration. These mainly find applications in the medical and healthcare industry, civil engineering labs and technology industry. Ovens are available in various capacity ranges to allow for different sample quantities. Vacuum ovens offer better functionalities than conventional ovens. These also achieve high temperatures quickly and have faster heating times. Display options on ovens allow the user to set the temperature as is required and adjust operating times. Application specific configuration options can also be set and varied as per need. Laboratory Oven (121 Lt) with Int. & Ext. SSFeatures:The chamber is double walled with.. Laboratory Oven (121 Lt) with Int. SS & Ext. MS Powder coatingFeatures:The chamber is double wal.. Laboratory Oven (216 Lt) with Int. & Ext. SSFeatures:The chamber is double walled with.. Laboratory Oven (216 Lt) with Int. SS & Ext. MS Powder coatingFeatures:The chamber is double wal.. Laboratory Oven (30 Lt) with Int. & Ext. SSFeatures:The chamber is double walled.. Laboratory Oven (30 Lt) with Int. SS & Ext. MS Powder coatingFeatures:The chamber is double wall.. Laboratory Oven (324 Lt) with Int. & Ext. SSFeatures:The chamber is double walled with.. Laboratory Oven (324 Lt) with Int. SS & Ext. MS Powder coatingFeatures:The chamber is double wal.. Laboratory Oven (50 Lt) with Int. & Ext. SSFeatures:The chamber is double walled with .. 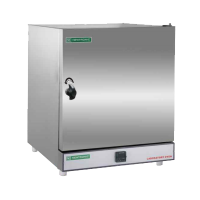 Laboratory Oven (50 Lt) with Int. SS & Ext. MS Powder coatingFeatures:The chamber is double wall.. Laboratory Oven (90 Lt) with Int. & Ext. SSFeatures:The chamber is double walled with .. Laboratory Oven (90 Lt) with Int. SS & Ext. MS Powder coatingFeatures:The chamber is double wall.. Vacuum Oven (30 Lt) with Int. & Ext. SSFeatures:The interior & ext..